Outer Banks Bear Tours ~ Safe, fun & educational tours on the OBX. Come seek out some of North America’s largest black bears and explore ecological majesty of one the most impressive wildlife corridors on the East Coast: the Alligator River national Wildlife Refuge. 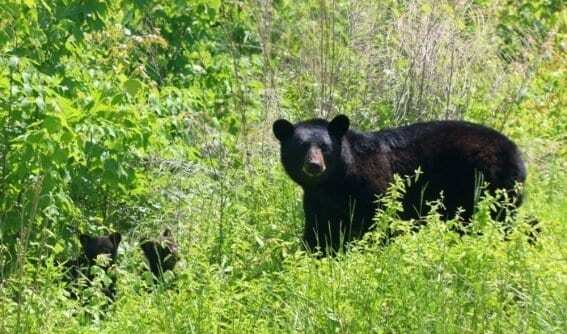 Outer Banks Bear Tours are an incredible and relaxing way to see wildlife close up, get away from the crowds of the beaches, and reconnect with nature in our National Wildlife Refuges. On this 1.5 hour tour, we will cruise through the refuge searching for black bears, turkeys, owls, birds, alligators, deer and other native wildlife of the area. Your tour guide will seek out the nooks and crannies where these animals congregate and also talk about the flora and fauna of the tour.